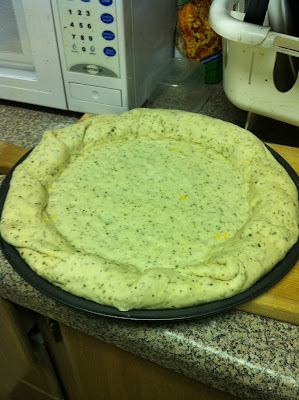 This is a Wolfgang-Puck style crust made with 12 grain flour but this pizza is STUFFED CRUST! 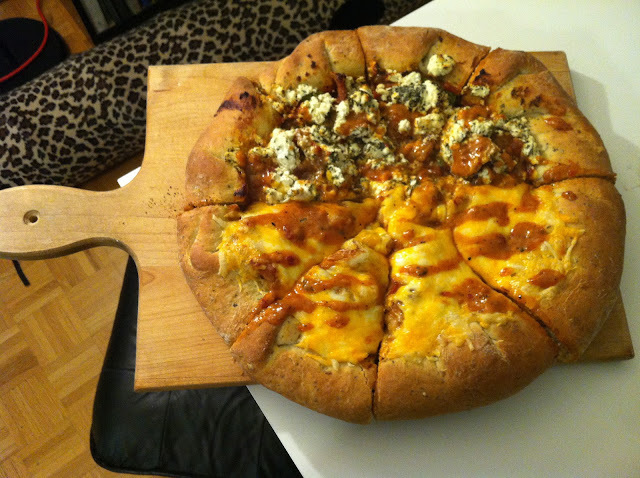 Constructed with homemade pizza sauce, spinach, pork tenderloin strips marinated in jerk sauce, topped with goat cheese on one side and marble cheese on the other side, it is quite a monolithic beast of a pizza. Third Step: Bake the crust at 400 degrees F for 15 minutes so there is a good solid base to put the toppings on. Fourth Step: Then we piled the pie high with homemade pizza sauce, spinach, pork tenderloin strips marinated in jerk sauce, topped with goat cheese on one side and marble cheese on the other side. Then we baked the pie at 400 degrees F for 25 minutes. 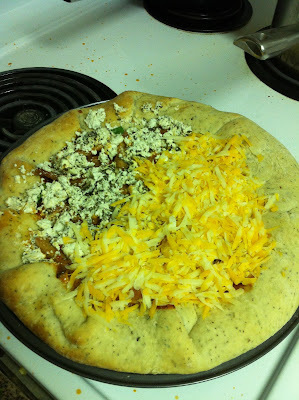 The end result as you can see was a monstrosity of a thing that I like to call a pizza. 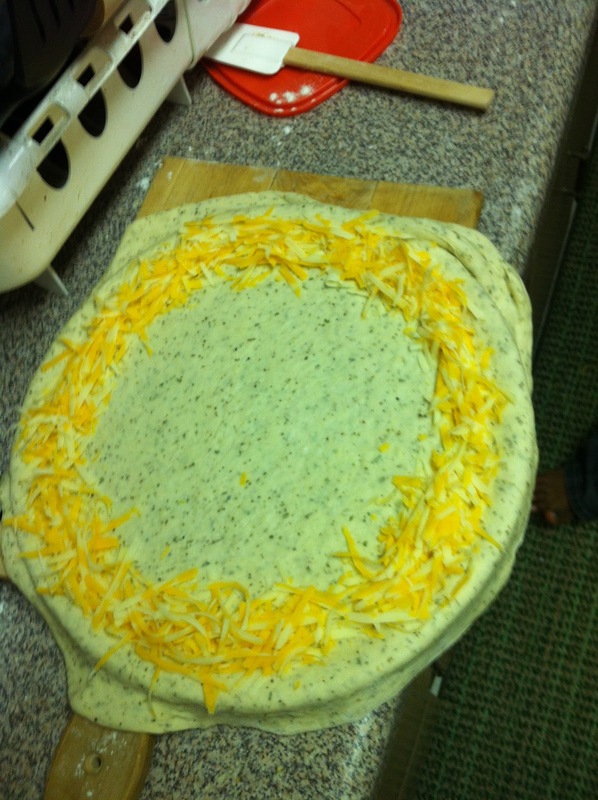 It was my first attempt at a stuffed - crust and I learned a lot. Needless to say I haven't tried my hand at this pizza since this slightly abysmal attempt but to be honest, I miss making pizza dough, watching as it comes together, becomes this supple and springy ball of dough, rolling it out to form a crusty you know is going to very much like French bread, crunchy on the outside, soft and moist on the inside….If you have never made pizza dough, it is about time you throw out the store bought sticky mess and try your hand it. You don't know what you're missing until you do.